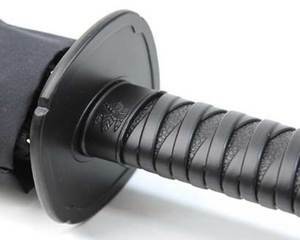 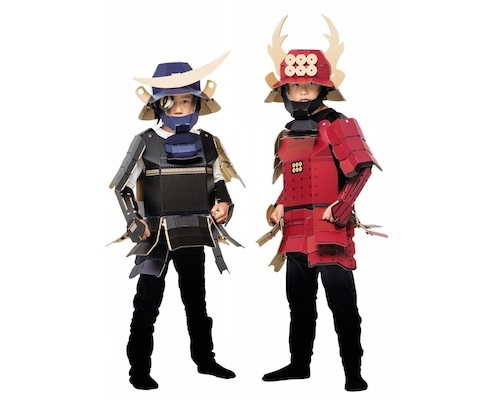 Are you a fan of Japanese samurai history? 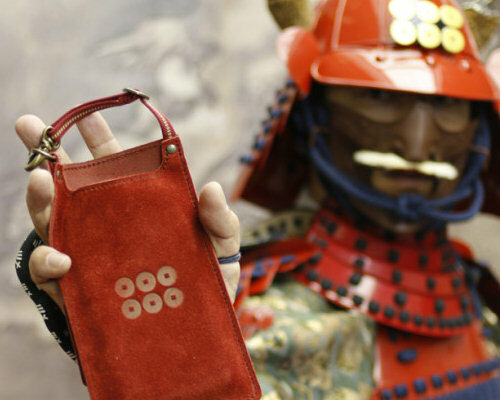 If you are, you will certainly have encountered Oda Nobunaga before. 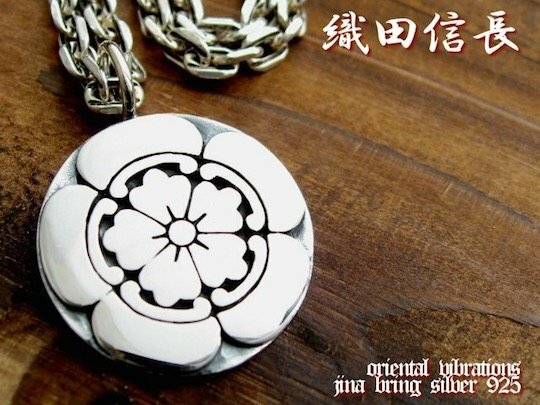 Now you can join the Oda clan with this Oda Nobunaga Family Crest Necklace Pendant. 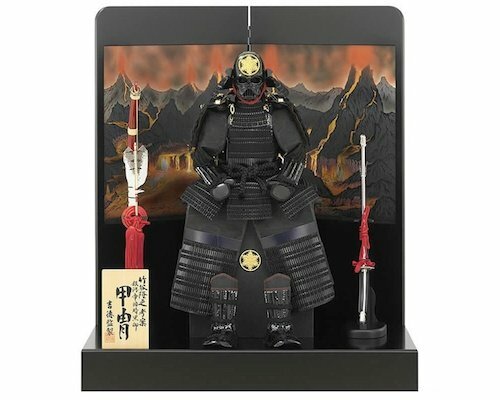 Nobunaga was one of the famous samurai leaders from the warring states Sengoku period. 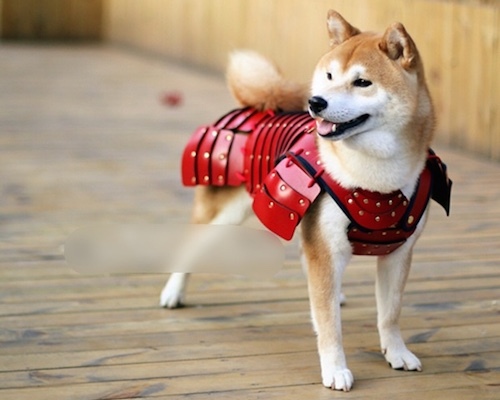 The innovative and forward-thinking warrior liked the latest technologies and weaponry, and was the first Japanese person to use guns in battle and open up borders to free trade. 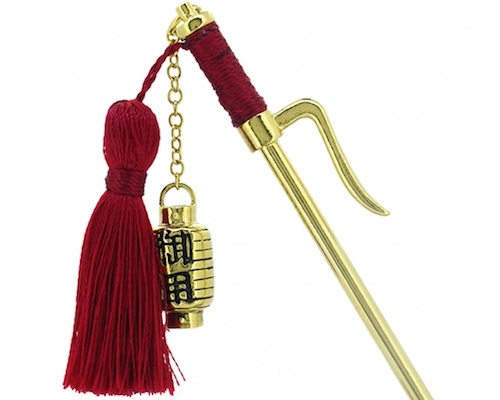 The pendant integrates Oda Nobunaga's attractive family crest. 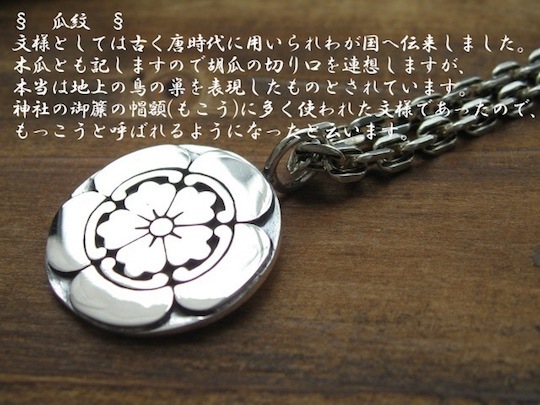 On the back of the pendant, Oda's name in written in kanji characters.